Come join us Saturday night for a sensory examination and evaluation as you sniff, swirl and savor these unique wines and beers from both Flight 102 and Brickstone. Come with friends, or come by yourself. It's sure to be a wonderful and unique experience. For more information and to purchase tickets to this event click here. What better way to start off your Sunday than with Mass. Join us at 11:00 a.m. in the church. Similar to some European markets, this charming open-air market features shopping, dining, music and local tradition that is uniquely French-Canadian. Here you will find a vast array of vintage, antiques, hand-made artisian wares, primitives, garden related items, delicious treats, jewelry, iron work, and many more treasures. This French Market will be on the school grounds starting Sunday at 10:00 a.m. and will close at 4:00 p.m.
A variety of authentic French-Canadian foods will be available on Sunday for dinner in the gym. In addition, an array of vendors will be selling food at the outdoor French Market. Food will be served starting after Mass (at Noon) until 4:00 p.m. These French speaking Sisters of Fraternite Notre Dame will be selling a variety of organic hand-made French pastries on Sunday. The Sisters sell their pastries for the central benefit of serving the homeless. The Sisters operate a soup kitchen, providing lunch to the homeless everyday! Don't miss this opportunity to take this self-guided tour. Maps will be available at the Bourbonnais Grove Historical Society Booth. Since the mid 1800’s, Maternity BVM Church has its roots in a time when Bourbonnais Grove welcomed the arrival of French-Canadian pioneers These pioneers immigrated in large numbers between the late 1820s and the 1850s, and were looking for a better way of life. 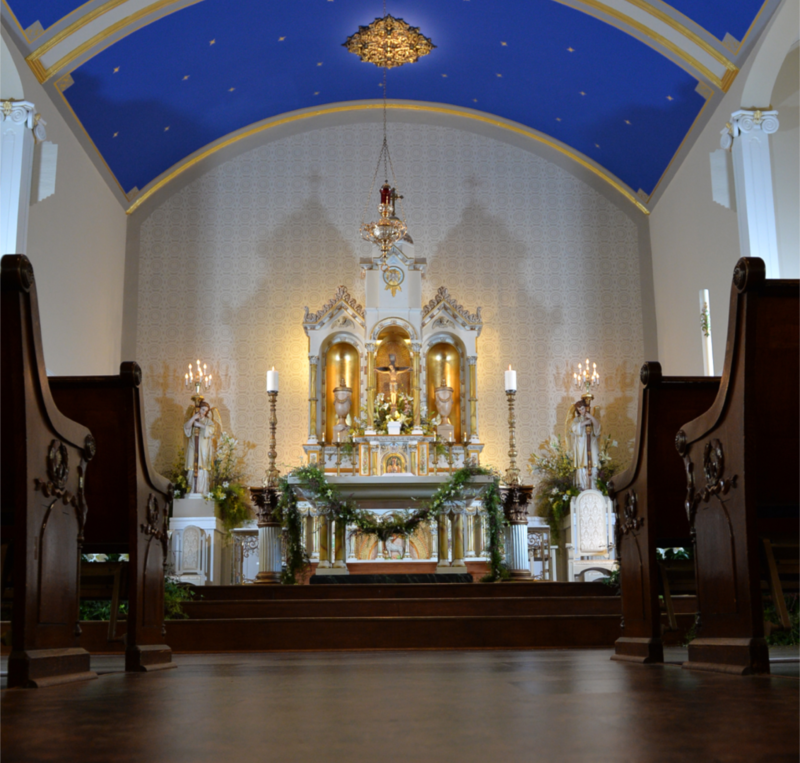 This Self Guide, walking tour will guide you through the sacred grounds of a parish, hand-built by a people who put their faith first, as it was taught to them by their forefathers. These first settlers were a determined collection of Priests & Brothers (The Viatorians), Sisters (The Sisters of the Congregation of Notre Dame), parishioners, and townspeople. You won't want to miss taking this tour. We need many volunteers to make this event a success. If you are able to volunteer, please complete a volunteer form here. 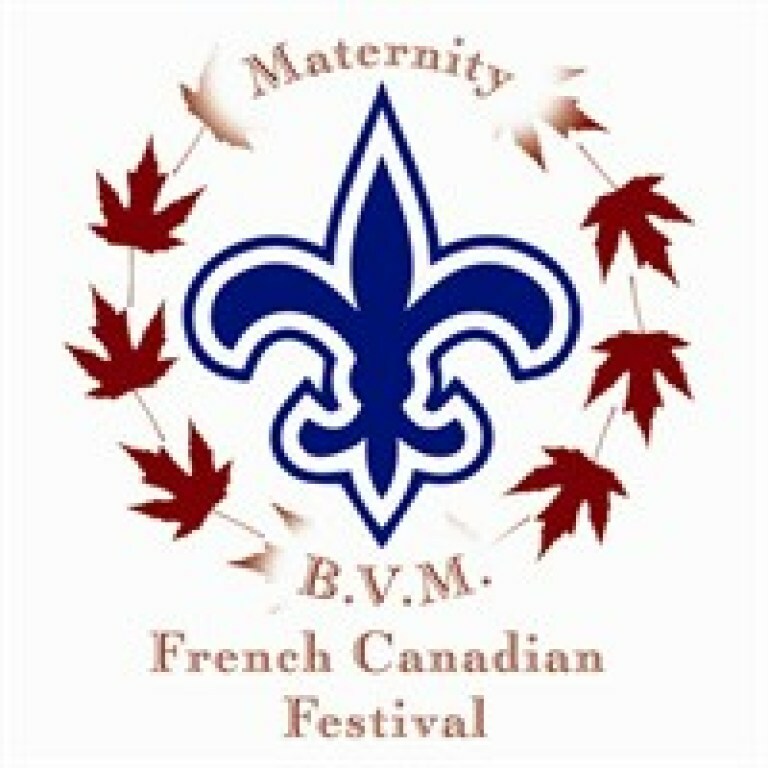 We are looking for Volunteers for our French-Canadian Fest on Sunday, September 10th. Please complete the following and someone will contact you shortly. If you are not contacted by September 5th, please call Paula Aubry at 815-263-7252. All Volunteers check in at the Volunteer Table inside the main entrance doors of the school. Volunteer forms are due by 9/3/17.